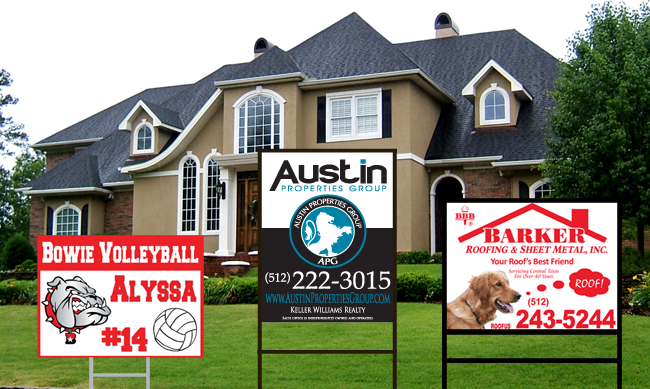 Get your service company or property noticed with a professionally designed yard sign from Signs Express. Choose from between corrugated plastic or aluminum sign faces for your next yard sign project. Some additional common uses for yard signs are directional signs for weddings/receptions, high school team member signs, and garage sale signs. The most common size for a yard sign is 18″x24″, but for increased visibility 24″x36″ is very popular as well.